Jaclyn Gilbert elected to NBAA Certified Aviation Manager Governing Board | Universal Weather and Aviation, Inc.
Orlando, Fla. – The National Business Aviation Association’s Certified Aviation Manager (CAM) Governing Board announced yesterday that it has elected Jaclyn Gilbert to its Governing Board. Gilbert, who earned her CAM designation in 2015, currently serves as Training Program Manager – Trip Support Services, Universal Weather and Aviation, Inc.
Gilbert, who is a licensed Aircraft Dispatcher and private pilot has nearly two decades of business aircraft operations and aviation training experience. 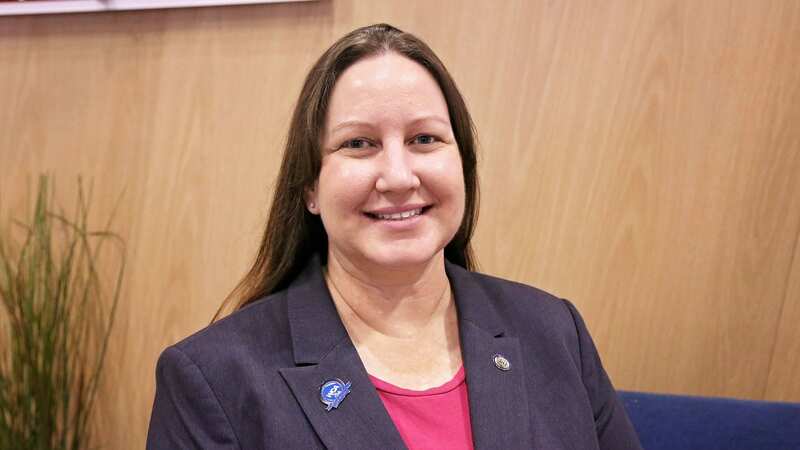 She graduated from Embry Riddle Aeronautical University with a Bachelor of Science in Aerospace Studies and minors in Aviation Safety, Space Studies and Mathematics. Jaclyn joined in 1999. Since then, she has coordinated thousands of international trips for both Part 91 and Part 135 operations. Prior to her current role, Jaclyn also has experience managing Universal’s FAA Part 65 approved Aircraft Dispatcher Course and Dispatch Refresher course.